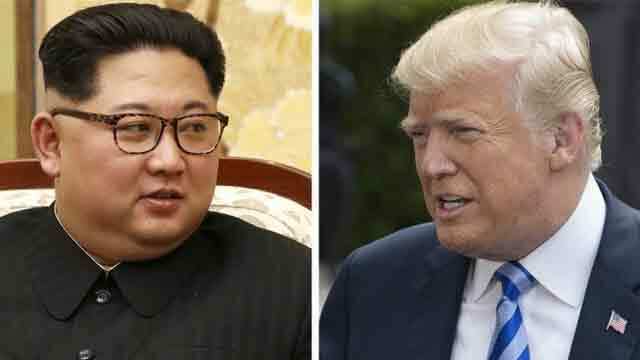 Seoul, May 16 (Just News): North Korea has said it may pull out of a summit with US President Donald Trump if the US insists it gives up its nuclear weapons. The highly anticipated meeting between Mr Trump and North Korea's Kim Jong-un is due to take place on 12 June. But in an angry statement, North Korea's vice-foreign minister accused the US of making reckless statements and of harbouring sinister intentions. "We do not hide our feeling of repugnance towards him," said Kim Kye-gwan. Mr Bolton recently said North Korea could follow a "Libya model" of verifiable denuclearisation, but Pyongyang has in the past suggested that Libya may have escaped Western military intervention in 2011 had it kept its nuclear weapons programme. The BBC's Laura Bicker in Seoul says North Korea - which had long said its nuclear arsenal is essential for its survival as a state - is now making its demands clear. What does North Korea's statement say? Mr Kim's statement, carried by state media, said that if the US "corners us and unilaterally demands we give up nuclear weapons we will no longer have an interest in talks" and "will have to reconsider" attending the 12 June summit in Singapore. He said North Korea did have "high hopes" but that it was "very unfortunate that the US is provoking us ahead of the summit by spitting out ludicrous statements". Hours before the announcement, in a sign of growing problems, North Korea had also pulled out of a meeting scheduled with South Korea on Wednesday. That was a reaction to the start of US-South Korea joint military drills. North Korea had said it would allow them to go ahead, but then called them "a provocative military ruckus" which was undermining its diplomatic efforts. The hawkish conservative is a firm defender of US power and a confrontational advocate for wielding that strength abroad. He has previously said it would be "perfectly legitimate" to carry out a pre-emptive strike on North Korea. In media interviews over the weekend, he said North Korea could follow a Libyan model of nuclear disarmament - Libya gave up its weapons' programmes in the early 2000s and only then secured economic aid and normalised relations with the US. However during the 2011 uprising against Colonel Gaddafi's regime, Western powers intervened in Libya, and Gaddafi was captured and killed by rebel forces. Kim Kye-gwan said in his statement that this was "not an expression of intention to address the issue through dialogue". "It is essentially a manifestation of awfully sinister moves to impose on our dignified state the destiny of Libya or Iraq which had been collapsed due to yielding the whole of their countries to big powers. "We do not hide our feeling of repugnance towards [Bolton]." Mr Kim also warns Mr Trump that if he "follows in the footsteps of his predecessors" - refusing to engage with North Korea unless it gives up its nuclear weapons - "he will be recorded as more tragic and unsuccessful president than his predecessors, far from his initial ambition to make unprecedented success". They've suspended all missile tests, released the three US detainees, Kim Jong-un met President Moon and the pair signed a declaration, and they're about to dismantle a nuclear test site in front of international media. So to hear the Trump administration claiming credit for a deal they don't like has been a step too far.